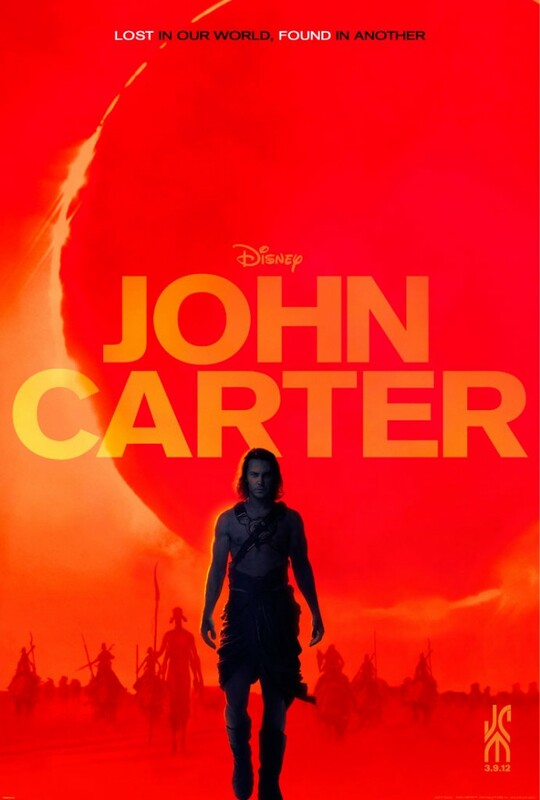 On the heels of a new poster and a bunch of new images we shared with you just a few days ago, Disney has released a new trailer for John Carter, the Andrew Stanton directed adaptation of Edgar Rice Burroughs’ A Princess of Mars. The film details the adventure of John Carter, a Confederate American Civil War veteran who is inexplicably transported to Mars (called “Barsoom” by it’s inhabitants). While there he takes part in a conflict between two waring Martian tribes, and falls in love with the Martian princess. If the trailer is any indication of tone, I’d say its got a good balance of nitty gritty battles and pulp fiction storytelling. The effects look solid, and Taylor Kitsch (who was often the weakest link on Friday Night Lights) looks like he might be able to pull this off. Disney is desperate for franchises that will appeal to boys (hence their acquisition of Marvel last year) and this certainly looks better than Prince of Persia, their last attempt to draw in that demographic. My own favorite part of the trailer? The use of Led Zepplin’s “Kashmir.” WOOT! Comments for The New “John Carter” Trailer Is Here are now closed.